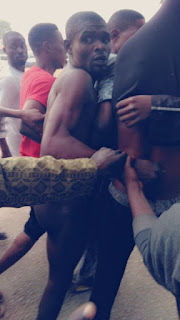 According to report, a 400 level student of University of Abuja (UNIABUJA) who was allegedly caught red handed while stealing has been publicly disgraced and paraded unclad. The young man was said to have been caught red handed when stealing phones and other electronic gadgets from one of the rooms while the students were asleep. He was tracked down while trying to escape. Those who know him said he's a student of the Faculty of Accounting. 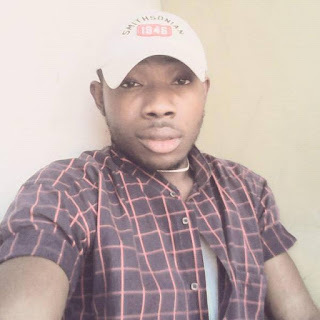 Reports say that he was almost lyched by angry student but was shielded by Student Union Government (SUG) executives who whisked him away from the scene before he was eventually handed over to the hostel security officials.